Very fast creation of objects, similar to existing ones. It's a good feature to create new objects based on existing ones with their properties. 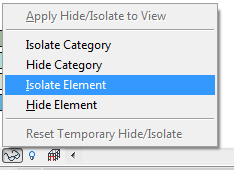 Simply select object, press CS and place new with type and properties of inital. Sometimes it can be useful. 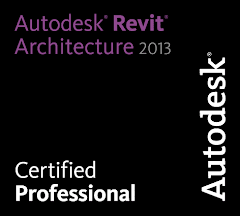 But is necessary to remember that works a little bit different, that in AutoCAD - not all actions can be repeatable. 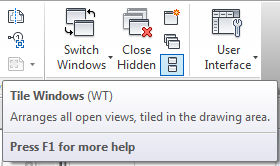 Helpful combination that opens window Visiblity/Graphics. It can override visiblity options for active view. Useful feature for working with linear objects. 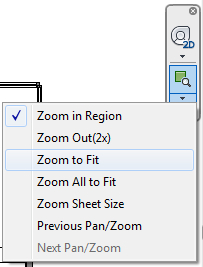 With this cool cut tool you simply click on a parts of object you want to trim and recieve correct joint. 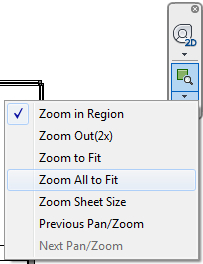 Activates Thin lines mode (like in AutoCAD), so its handy to work in TL while you zooming to close a part of a view (for exemple, for fix wall connection errors). 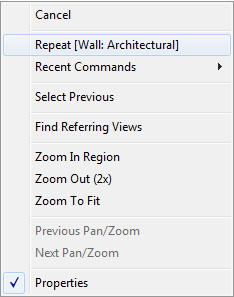 Automatically places opened window tile-like in the Revit window. 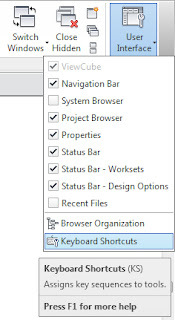 Active window becomes top left. Very useful with ZA (look down). Fits all data on a view to its window. As I said before, I usually use it in pair with WT (look up). 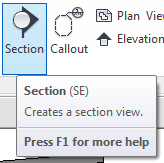 Fits data to window like ZA, but only for a current view. Like Alt+Tab in Windows switches applications, this combination switches Revit views. By the way, it works almost in all Windows-based software. The same, but in back direction. One of my favorite key. 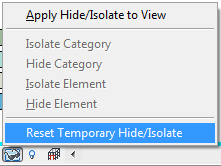 Temporary hide is an opportune to switch off selected object (or several objects) on a view for a time. For example, it can be useful when you want to see objects behind a wall or under a floor/roof. This feature doest't affect on print or export, so that's why while something is temporary hidden there is a blue border inside of your window. 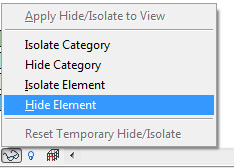 Like HH temporary hides selected objects, HI isolates selected ones. It's good when you want to review only a part of construction. Also doest't affect on print or export settings. 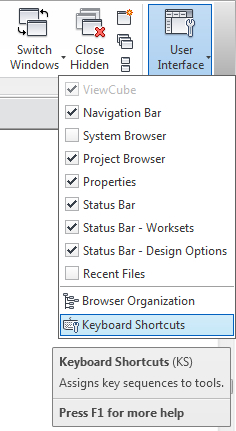 Opens Short keys managment window, where you can customise almost all listed combinations. 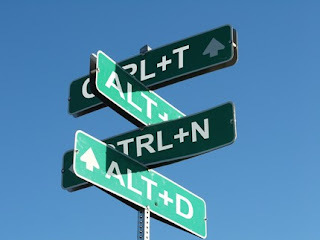 I also involve to this post self-added combinations. Of corse, you can greatly extend it as you want - here are only a few combinations. Geometry join tool. Useful for fixing objects joining issues. Now that's all. I hope, you could find something useful for you! Please lease leave your favorite short keys in comments - most useful I'll add to that list with pleasure. that will help us much!